Trāṭaka is a project based on a brain-computer interface. While wearing this device, the user is invited to concentrate his attention on a flame placed in front of him. The level of attention detected by the system controls the air flow located under the flame: Higher levels correspond with more intense air flow. The goal is to extinguish the flame. 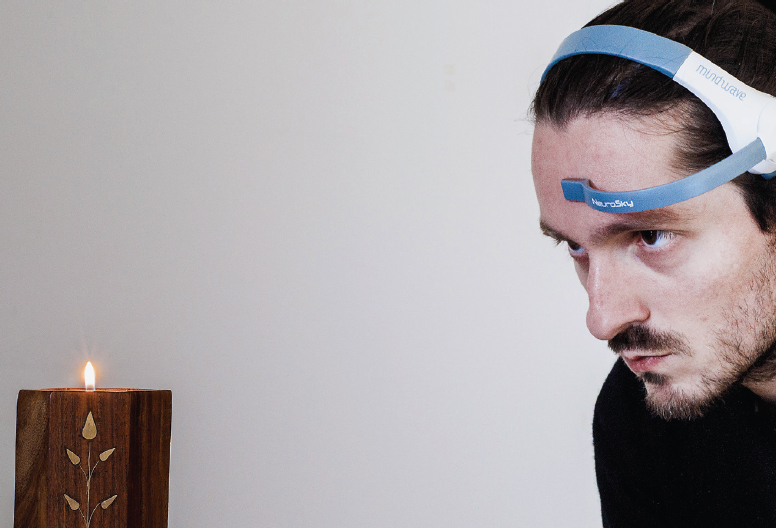 In this way, the user is pushed to be aware of his ability to control his concentration, as well as it can be detected by the device. Trāṭaka त्राटक - flame controlled by a brain computer interface from Alessio Chierico on Vimeo.